Taking advantage of all-day sun and great views, the lounge is perfect for chatting with other guests, or finding a quiet corner and a good book on the mezzanine or conservatory. 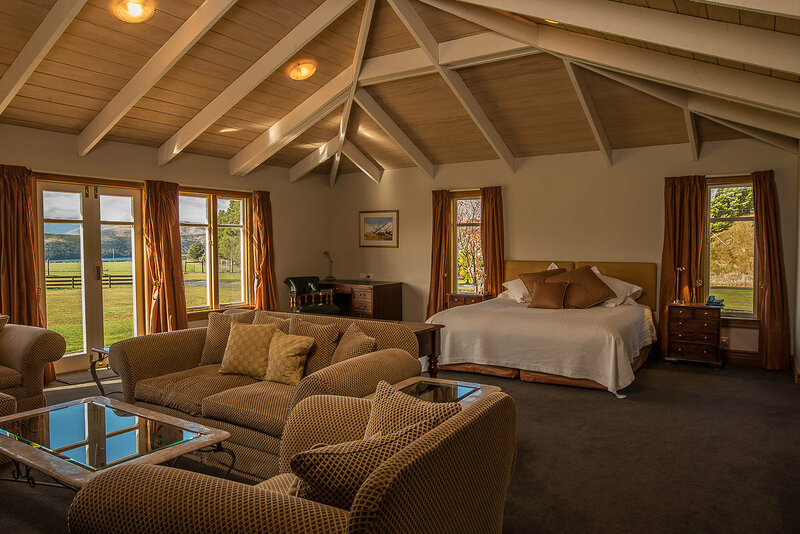 Each Lake View room in the Lodge building measures 37 square metres (400 square feet), and has a view over the lawn and farm, to Lake Grasmere and the Puketeraki mountains in the distance. 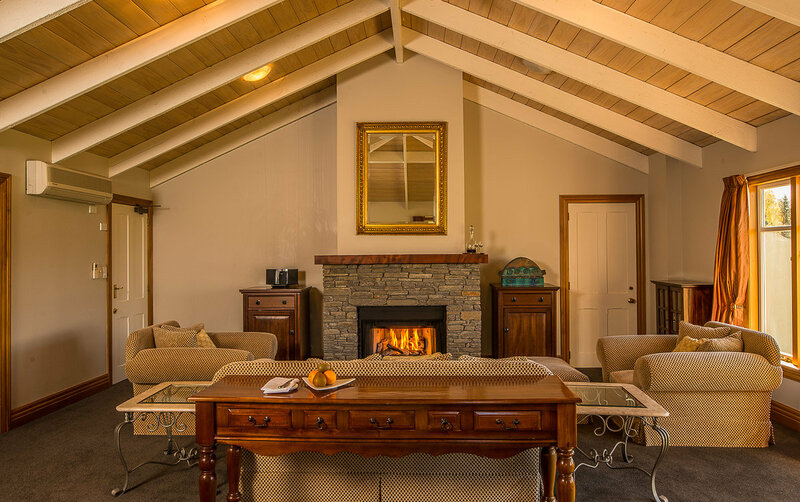 The Grasmere Junior Suite with a traditional ambience is spacious with comfy sofas and chairs in front of a schist fireplace. 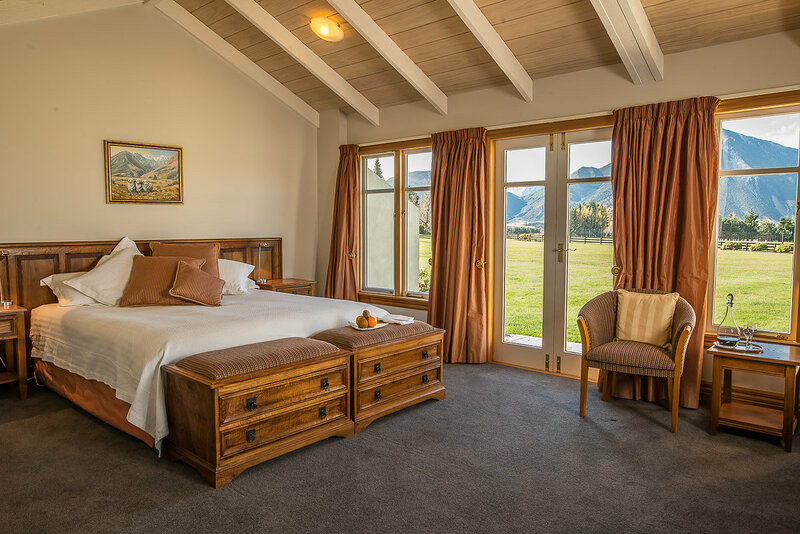 Ideal for families with interconnecting door, one Lake View room connects to the Grasmere Junior Suite. This room is 65 square metres (700 square feet), with a sofa and armchairs in front of a schist fireplace, and a walk-in wardrobe.